Victoria on Vancouver Island reminds me very much of the Isle of Wight – a beautiful area peppered with tourism hotspots. Plus it’s on an island… in case you missed that point. Another large and healthy breakfast at Marketa’s introduces us to more people from around the world; this time Birmingham, UK and a foreign woman who I couldn’t fathom where she originated from. I can usually tell after a few lines of speech roughly where someone is from on the planet, but this woman mystified me. She sat with the Swiss couple who were still staying, and spoke to them in French, but her mother tongue eluded me, although I’m fairly sure she was European… which is probably why she could speak French, Jode. 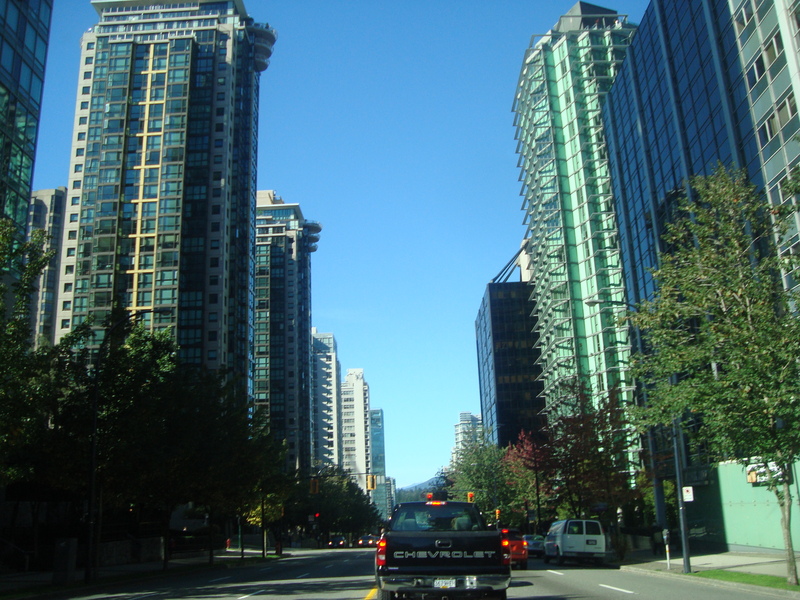 A half hour drive back to the ferry (once more aboard the Spirit of Vancouver) and then we’re heading thru the city of Vancouver again, to it’s northwest corner and a place called Stanley Park. 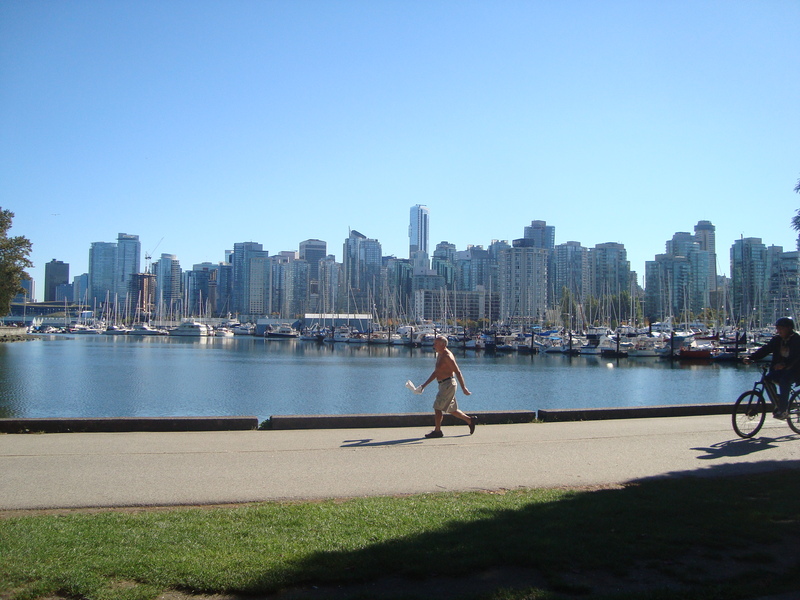 Now, whenever I mentioned that I was about to holiday in Canada, a couple of people told me that I should go to Stanley Park – and they were right to recommend it. Opened in 1888, it sits on 404 hectacres of land and is bigger than New York’s Central Park but a lot smaller than London’s Richmond Park, but Richmond doesn’t have the sights that this place does. As you walk around you get a panoramic scope of downtown Vancouver and the Pacific Ocean that surrounds the park. Covered in approximately half a million trees (and there were some big bastards there, too!) 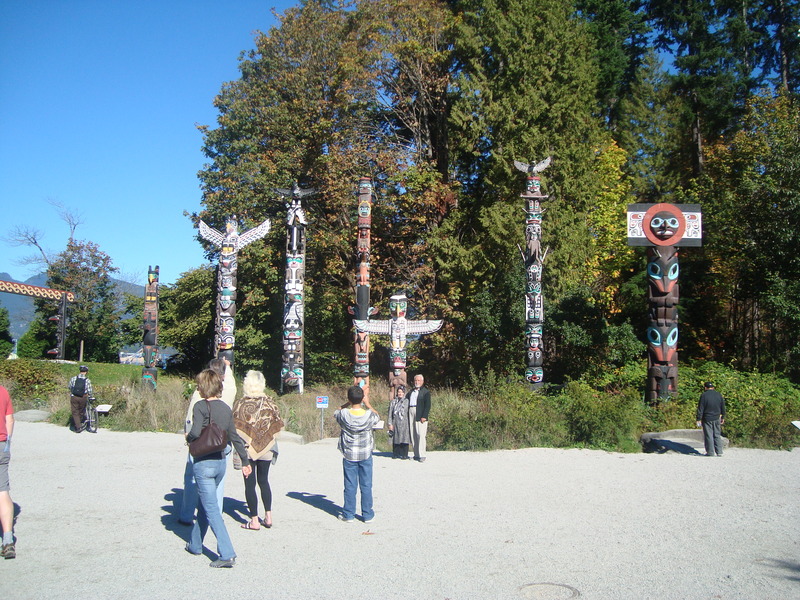 Stanley Park receives roughly 8 million visitors a year. While we were there during the end of season in early October, the place was still covered with people, and lots of joggers and cyclists using the 8.8km seawall. 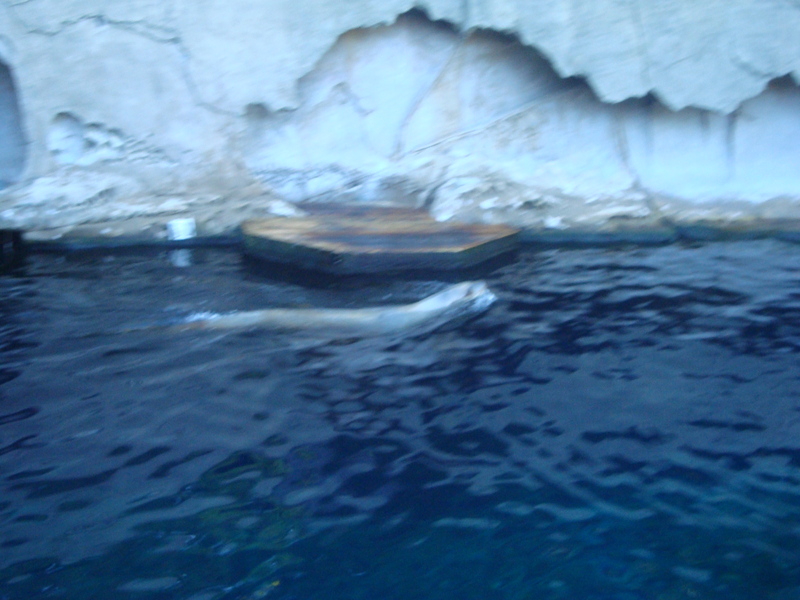 Stanlay Park is also home to the Vancouver Aquarium, and if you read my previous blog about the Undersea Gardens, then believe me when I tell you that the Aquarium pisses on the Garden from a great, great height. 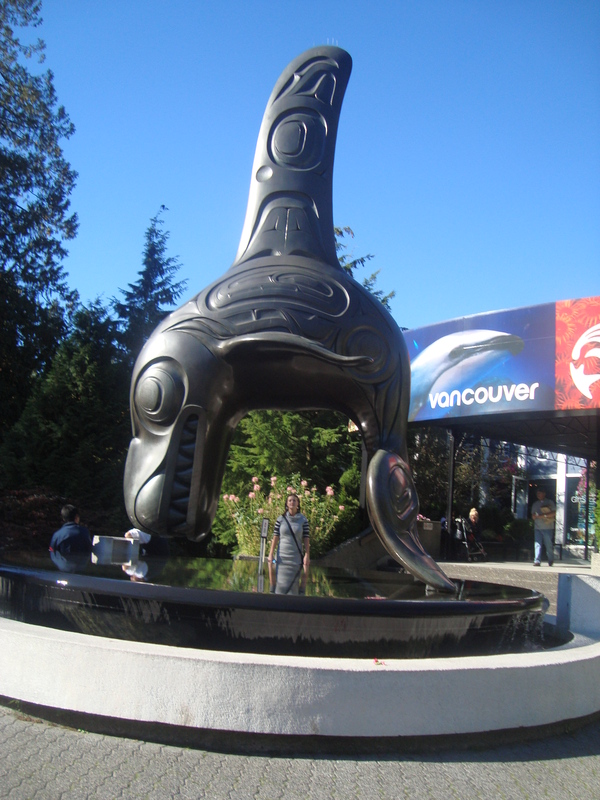 Opened in 1956, the Aquarium is a self-supporting, non-profit organisation set in the heart of Stanley Park and is a centre for animal rehabilitation, marine research and conservation. It’s animal occupants include Pacific White-sided dolphins, beluga whales, 300 species of fish, 30,000 invertebrates, 56 species of amphibians and reptiles, and around 60 mammals and birds! 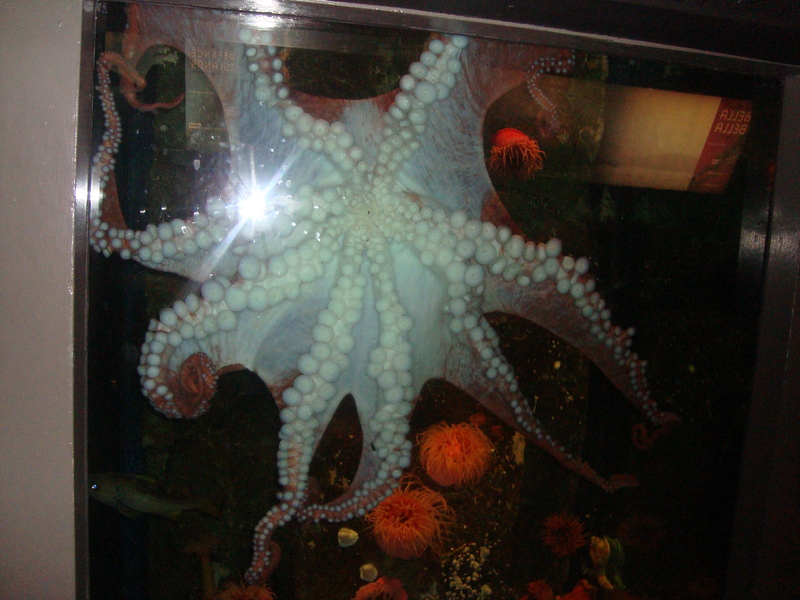 The variety of animals on display was awesome, particularly the more lively ones such as the dolphins and whales, but a giant octopus was also very impressive – especially as it had stuck itself to the glass! Cue lots of people taking pictures of each other with their heads surrounded by tentacles! 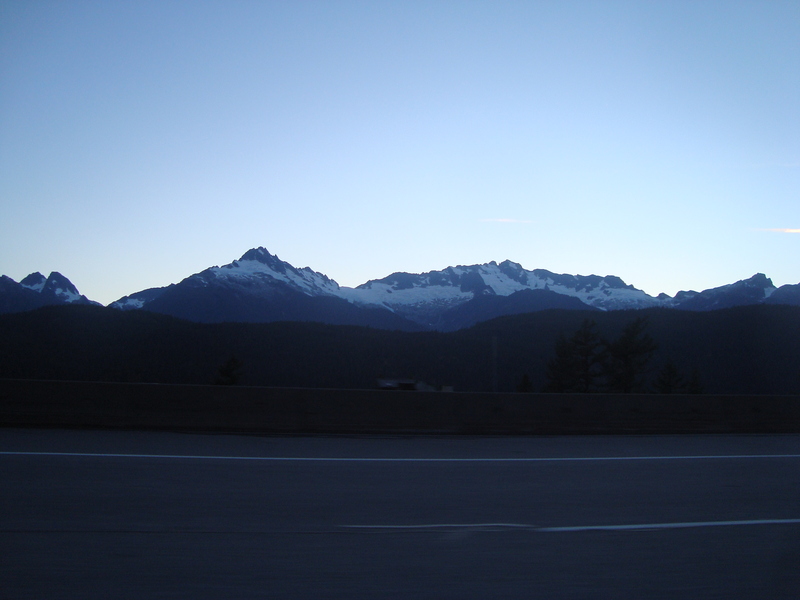 Whistler is beautiful, as suggested by the drive there, but the actual resort itself is perfectly picturesque. A shame it wasn’t covered in snow when we arrived, but there are plenty of postcards and pictures around to show you how stunning it looks most of the year. Situated in the Southern Pacific ranges of the Coast Mountains, BC, it has a permenant population of just under 10,000 people which swells often due to all of the workers who travel in every day to work there. Two million people a year visit Whistler, and – once we’d had a minor panic about being locked out of our hotel room before we’d even got in – we became another two of those visitors.